Thankful....another sentiment we treasure at 2Savor.com, the daily ritual of being grateful. 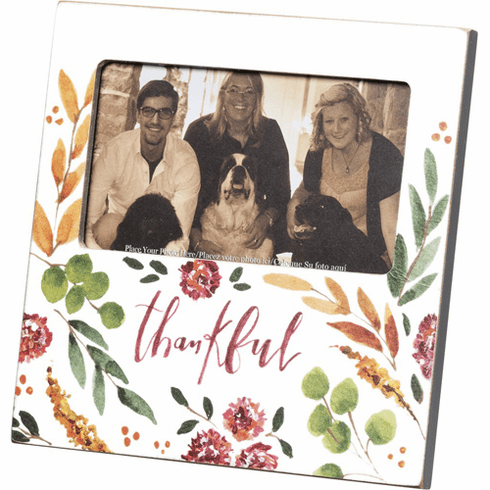 Purchase this for yourself and fill it with those you are most thankful for, or give as a thoughtul gift...makes a fantastic hostess or thank you gift when filled with a treasured memory. Holds a 3 by 5 inch picture.